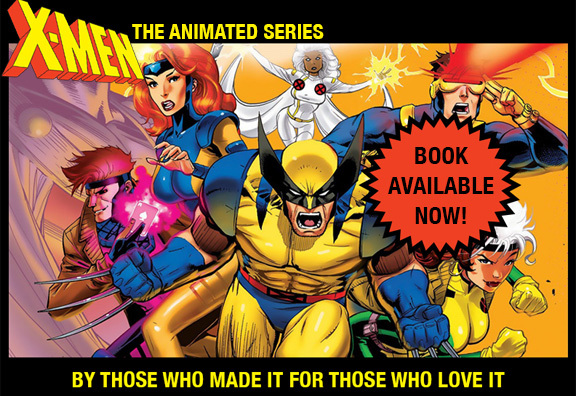 X-MEN characters exist in the books and the animated shows and the live-action movies. In the books, their voices exist in our imaginations. In the various animated series and the movies, the characters live concretely in the voices of their actors. Everyone hears them the same. The current live-action movie guest-stars one of my favorite X-MEN characters: Apocalypse. The actor portraying him is among the great performers of our time, Oscar Isaac. He does a fine job. Yet, for me, and for millions of fans around the world, “our” Apocalypse will always possess the uncannily resonant voice of the late John Colicos. One of my great regrets while making X-MEN:TAS was never having a chance to meet John. This was not only because he contributed so much to our show. I was stunned to discover that he was my single favorite Star Trek villain, KOR (“koor”), the first Klingon commander ever portrayed. John’s performance as Kor was first broadcast 49 years ago. I’ve enjoyed it many times since, but it burned into my memory in one viewing. He promised to turn Mr. Spock’s mind into a “ve-ge-ta-ble,” and I never pronounced the word the same way again. On our series, he was the single most larger-than-life villain we had. John made Apocalypse’s ancient soul believable. He made a horrifically powerful villain vulnerable as he pondered the Sisyphean of his existence. He made us feel for him. (Oscar Isaac was quoted as saying he “Went to the cartoons for a deeper take on the character.”) So when we leave the theater after enjoying the craft of X-MEN: APOCALYPSE, let’s remember the man who made the character immortal. ← STORM IS EXCITED — WE’RE UP TO 2000 TWITTER FOLLOWERS! That was definitely my favorite portrayal of Apocalypse. Going back and reading the old 80s X-Factor comics (some of my all-time favorites), where he first appeared, he was a cool, mysterious villain, but he was also not quite as ……Shakespearean in his speech and mannerisms. The Apocalypse of TAS waxed poetic about how he was going to conquer the world and turn it to rubble. He was always so eloquent and menacing, seemingly unbeatable. He was great. My favorite villain from the show to be sure. And while the 90s X-Men comics of Scott Lobdell and Fabian Nicieza, were obviously a heavy influence on some of the look and tone of the show, it was equally obvious that the cartoon had a bit of influence on the comics as well. For example, the fairly stand-alone alternate universe “Age of Apocalypse” storyline, which saw a world where Xavier died before he could found the X-Men, as saw Apocalypse conquer American and devastate half the world. That story saw Apocalypse full on talking like he did in the show, very verbose indeed. And they even resurrected Changling, the short-lived villain/hero from the 60s who was the basis for Morph, and called him Morph, complete with full-on goofiness and constant inappropriate jokes. But just like most of the characters, whenever I read the comics these days, it is the voices and portrayals from the 90s show that I hear in my head, those versions of the characters live on in my memory, for sure. That is amazing. I never realized that Apocalypse was voiced by Kor. I just know that his voice work was amazing. I know that it was treated electronically, but so much of that performance came through and he did an amazing job playing that larger-than-life villain and making him believable.